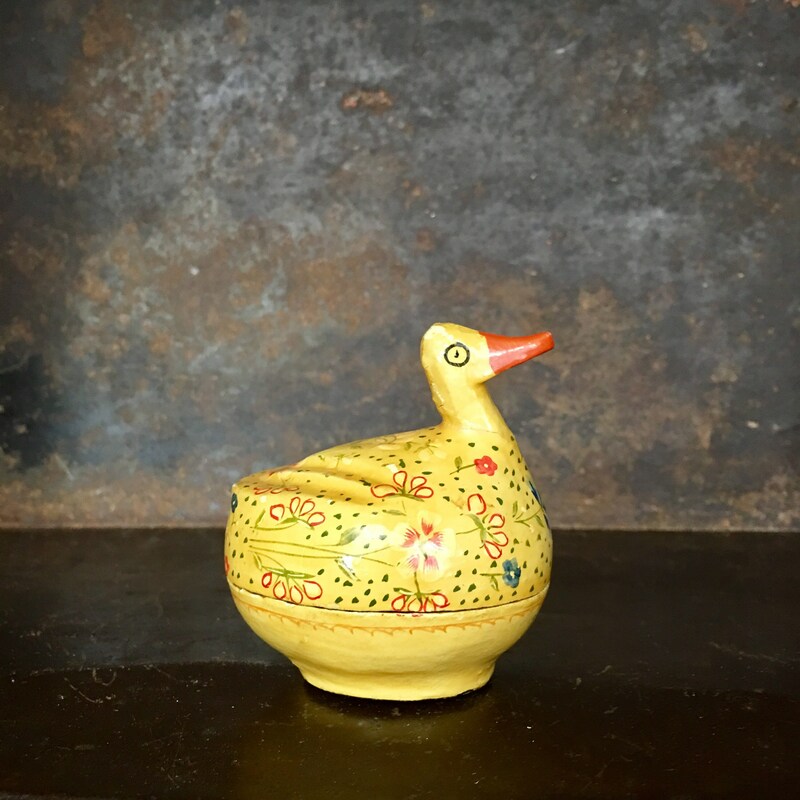 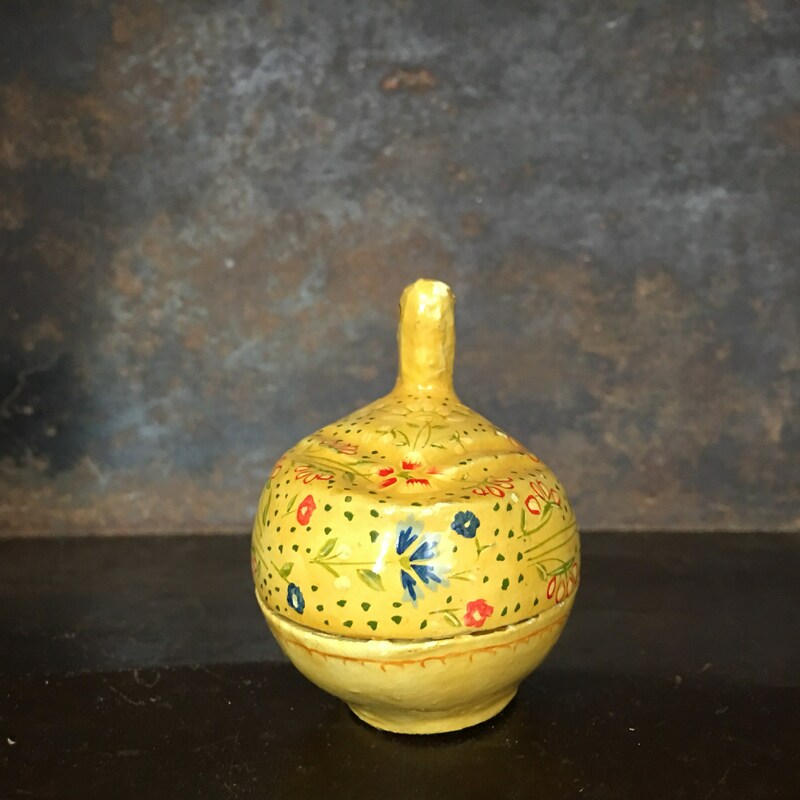 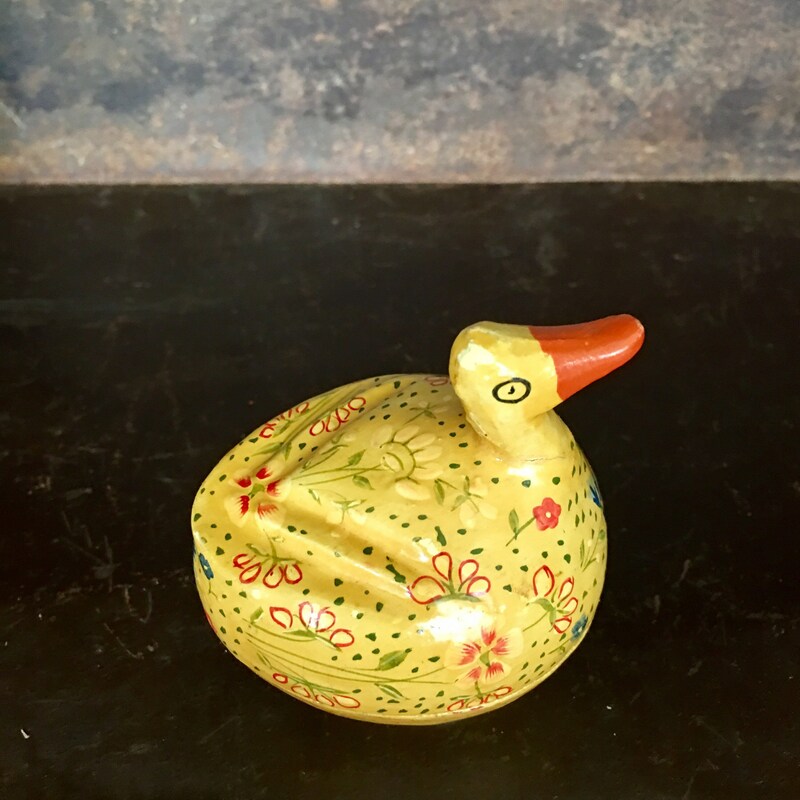 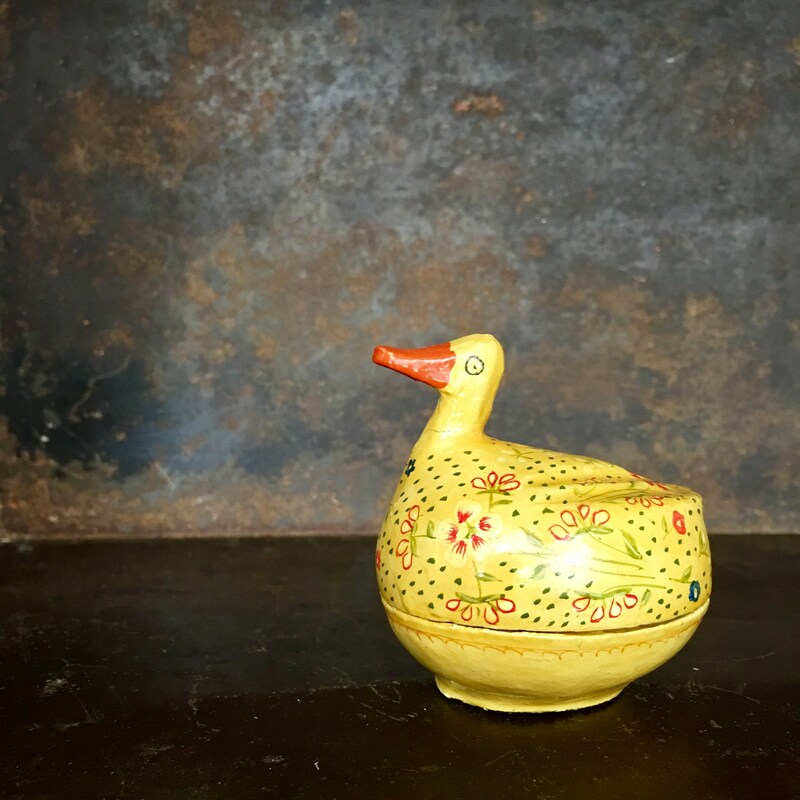 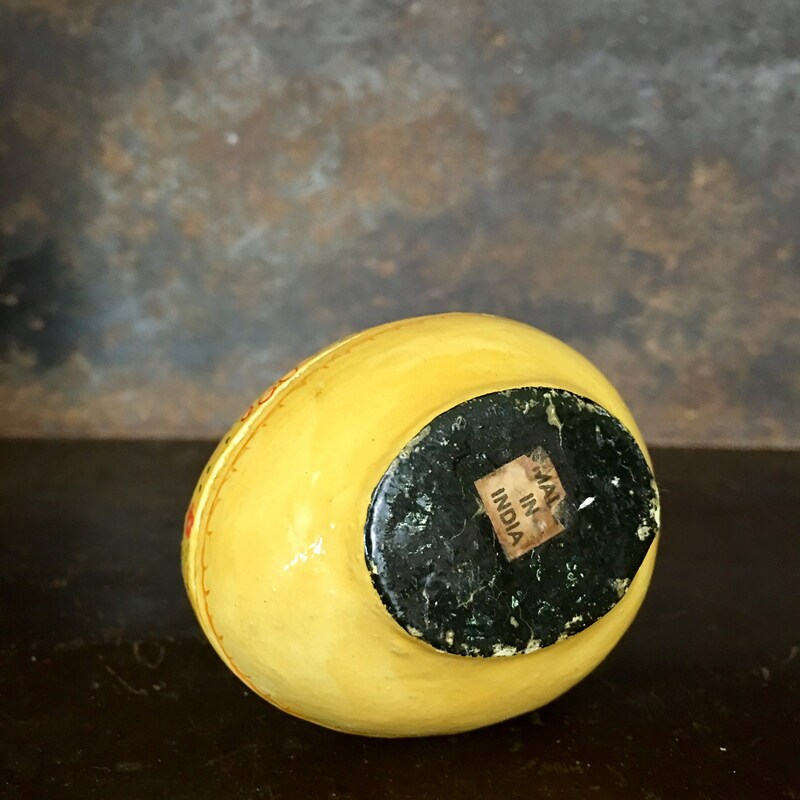 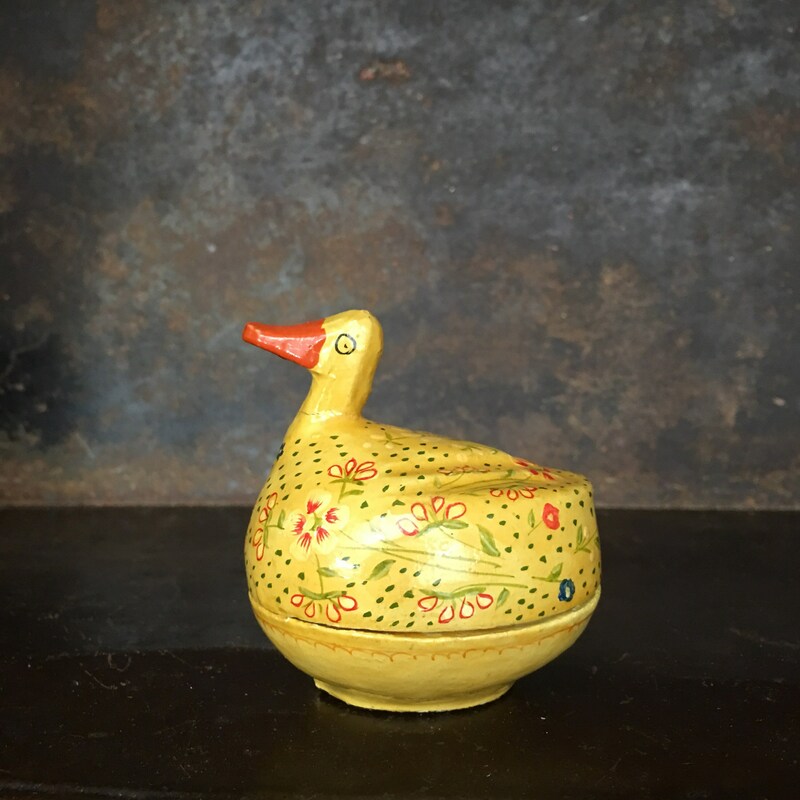 Vintage papier mache or painted wooden yellow duck box with intricate painted floral details. 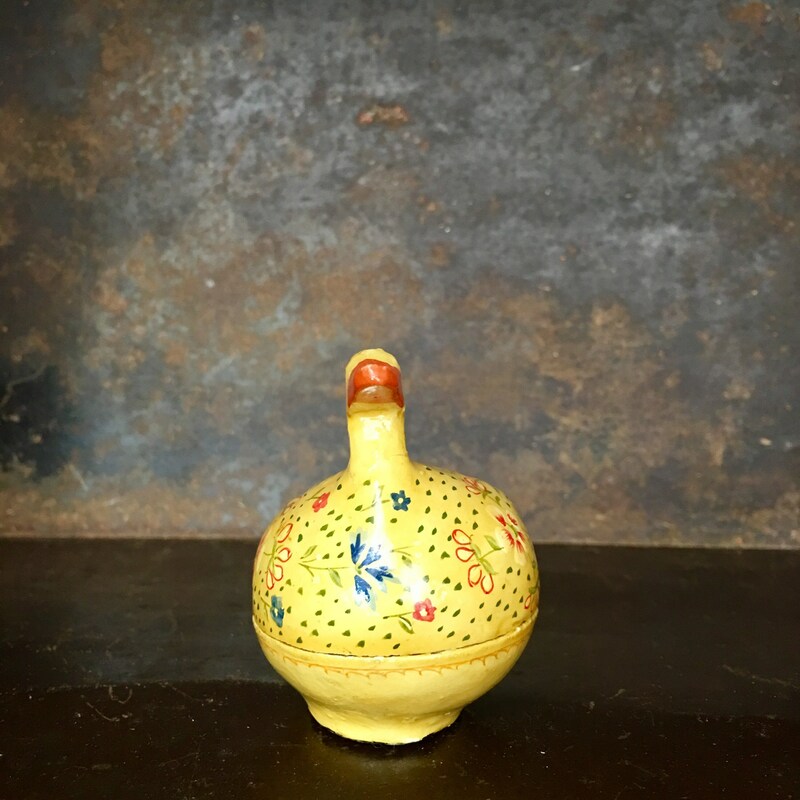 Some of the paint has worn off on the top and bottom but does not affect its functionality. 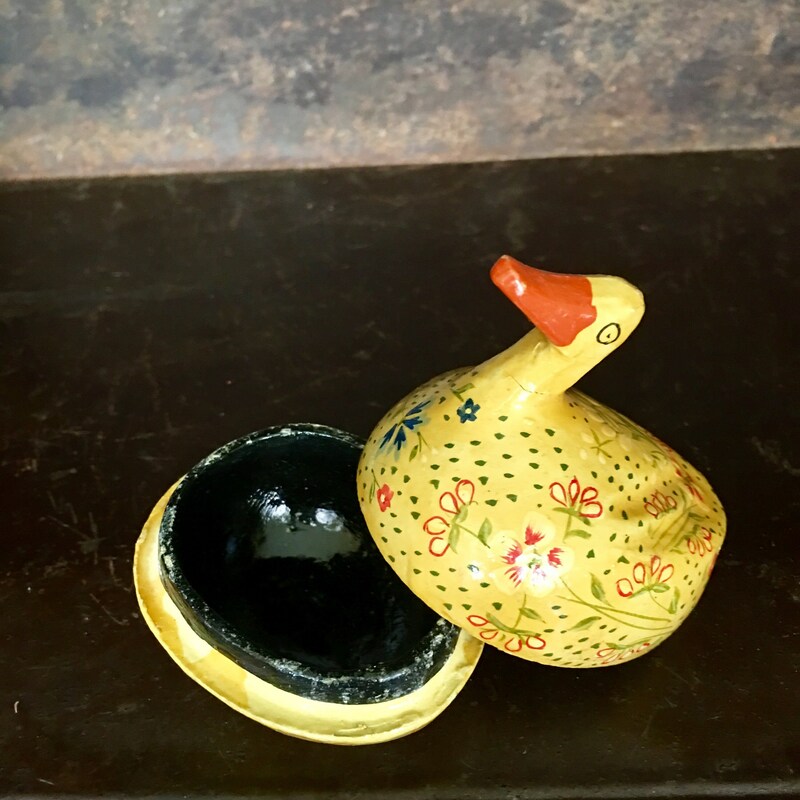 Has a black painted interior. 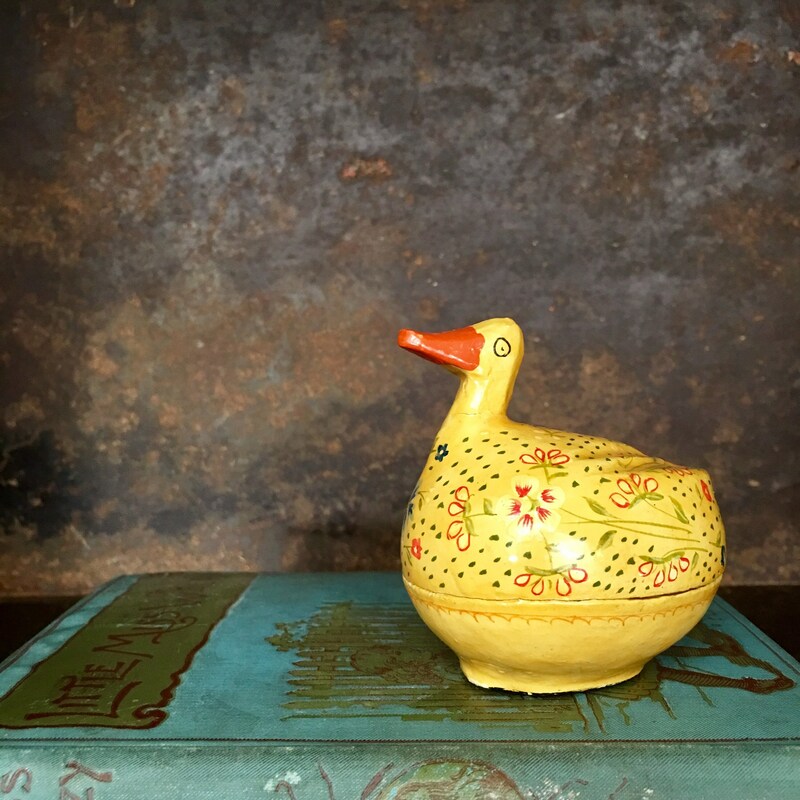 Such a sweet addition to a nursery!